The intermediate shaft has been used on all Porsche engines since 1965. 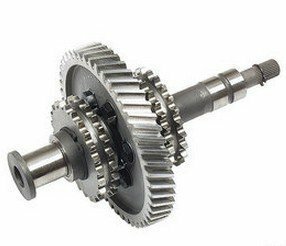 The intermediate shaft drives the camshafts indirectly off of the crankshaft. This allows the speed of the chains to be reduced and thereby extend chain life. This Porsche design has been common to all aircooled six-cylinder Mezger engine until 1998. The IMS is also found in the water-cooled Turbo, GT2, and GT3. This intermediate shaft in these engines differ from those found in the M96 engine. Plain bearings are pressure fed engine oil for lubrication and typically do not fail. To cut costs on the M96 engine, only one cylinder head casting was made. Because of this major change camshafts could not be driven off one end of the IMS. In this engine the cams are driven off both ends of the intermediate shaft. On the rear side of the engine the IMS is lubricated by a traditional bearing with force fed oil. 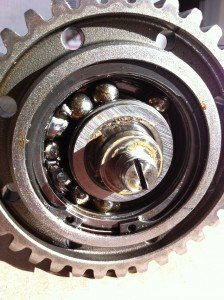 Unfortunately, due to how the crankcase was designed, there are no internal oil passages from which pressurized engine oil can be used to lubricate a plain bearing on the side closest to the flywheel. 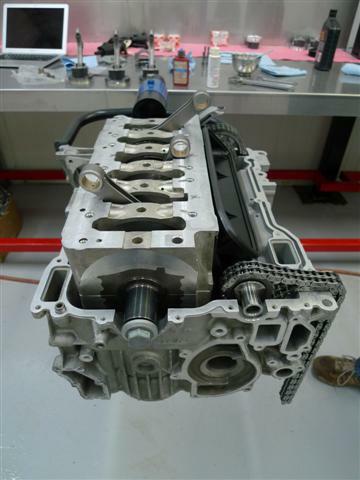 The IMS in the M96 as well as the M97 engine is located beneath the crankshaft carrier and is chain driven. The factory IMS has a sealed ball bearing on the flywheel end and a plain bearing on the other end. Unfortunately, it is this ball-bearing that is the most highly stressed in and is also responsible for thrust control. 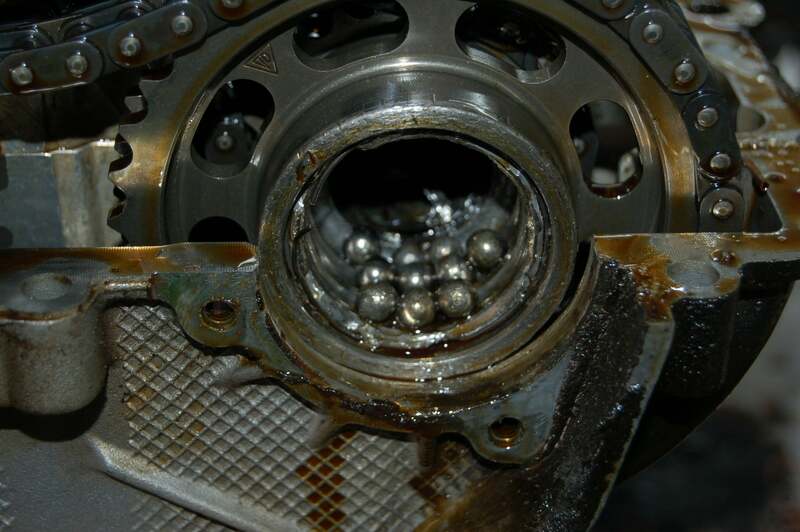 The most common failure of the M96 engine is in the ball bearing in the IMS. The intermediate shaft found in the M96 and later M97 engine changed 3 times. The initial version used a dual-row ball-bearing used through model year 1999 and in some 2000 and 2001 models. This version was quite reliable. Starting in model year 2000, a single row ball-bearing replaced the dual row version. By model year 2002, all engines used this smaller, weaker bearing. Then, in 2006 the design changed a final time to a much larger single row bearing with the same load capacity of the early dual-row ball-bearings. In 2006 model year, Porsche changed over to a design that is no longer serviceable without removing the engine from the car and completely disassembling it. All of these designs use a sealed ball-bearing rather than allowing for engine oil located in the wet sump to lubricate the bearing wit quite seldom oil change. There is no recommended service interval for these bearings nor provisions for their replacement from the factory. 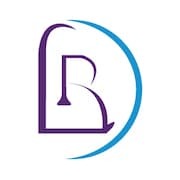 Fortunately with model year 1997 through 2005 engines, the intermediate shaft bearing is serviceable and with preventative maintenance, costly repairs can be prevented. The recommended interval for the Classic Dual Row & Single Row Pro IMS Retrofits is 6yr/75,000mi. The IMS Solution is a permanent fix. 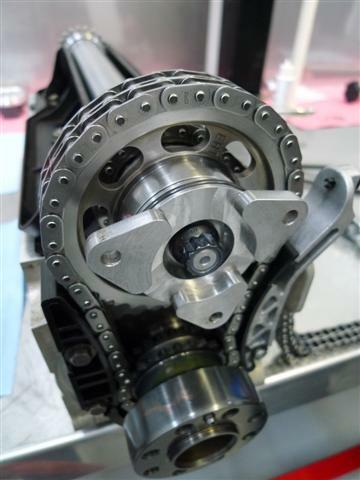 From 1997 to 1999, Porsche use a dual row intermediate shaft bearing which has proven to be as robust as the larger single row used from 2006 through 2008 model years. The weakest IMS Bearing used was from years 2000 to 2005. Starting in 2000, Porsche began phasing out the dual row bearing and went to a smaller single row, with significantly less load capacity. From 2002 through 2005, all engines used this smaller intermediate shaft bearing until they went to the larger, third revision for the 2006 model year. The single row IMS bearing used in 2000 through 2005 model years is reported to have an 8% failure rate, versus less 1than 1% with the dual row IMS bearing. If you have this version we recommend performing the LN Engineering IMS Pro Retrofit. Once IMS bearing failure occurs, a complete engine rebuild is required to replace the intermediate shaft. When an IMS failure occurs the intermediate shaft is damaged beyond the point of being serviceable and metal debris from the failure contaminates the entire engine. This requires a complete teardown and rebuild. In worst-case scenarios, the cam timing can also be thrown off, causing valve to piston contact. Aside from the preventative maintenance by replacing the IMS bearing prior to such a failure, prevention and early detection are some of the steps that can be taken to try to minimize the risk of a costly engine failure. When contemplating replacement, understand that there are several versions used by the factory. Model years 1997-1999 used a reliable dual row IMS bearing. Model year 2000 and 2001 engines are cross-over years where a dual row or single row IMS bearing could have been used, requiring visual inspection to identify which you have. A good time to do this is when performing a clutch or flywheel service, or to replace a leaking rear main seal. The LN Engineering Dual Row and Single Row Pro IMS Retrofit uses custom open (no grease seal) dual row ceramic hybrid bearing. LN Engineering currently offers a Dual Row IMS Retrofit as well as the Single Row Pro IMS Retrofit, where the engine does not have to be disassembled to replace the factory sealed ball-bearing. Both with a 6 year/75,000 mile service interval. IMS Solution LLC’s oil fed plain bearing arrangement similar in functionality to the intermediate shaft bearing used in the past aircooled models as well as more recent Mezger engine, eliminates the ball-bearing design completely and is a permanent fix. Typically replacement of the IMS bearing takes 10-14 hours (with exception of some Tiptronic 911 models) and is usually serviced at the same time the clutch and dual mass flywheel. Here at Lang Racing we offer all variations of these IMS Bearing retrofits and services. Contact us for more information on what is recommended for your specific Porsche. I have a 2006 Carrea S, 27,000 original miles.has new magnetic drain plug and have not noticed any problems to date..they say “Garage Queens”, like mine have a higher rate of failure IMS bearing…. We are really not big fans of the “IMS Warning” systems, we really prefer to just be proactive and replace the bearings as part of preventative maintenance especially on cars that experience alot of time in the garage. Without constant heat cycling it can be very hard to get the oil inside the IMS bearing tube to be cycled in and out so that there is fresh oil in the shaft. Fresh oil in the shaft prevents oxidation of the steel inside the IMS bearing.